Making tools to make other tools is a time-honored activity. When students learn about additive manufacturing, they learn how to make their own 3D printers. If you have the time and inclination, you can self-source all the materials needed to build one from scratch. The current level of 3D printing is similar to the early days of industrial design when you could make your own tools and start working. The creation of new printer designs is another way that 3D printing is being commodified today. An explosion of commercial alternatives is providing larger build areas and improved material options to meet the swell of new applications being sought to meet the needs of military, medical, and space technologies. In addition to commercial products, basic Fab@Home and RepRap open-source designs have evolved into hundreds of different clone and derivative designs. 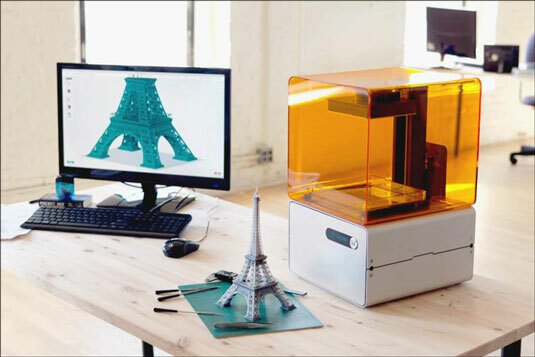 One of the best-known designs is the MakerBot, developed by Bre Pettis, Adam Mayer, and Zack Smith, who also include the co-founder of the popular 3D-model repository ThingiVerse. The original MakerBot CupCake design was based on open-source RepRap systems, but has since evolved through several rounds of open-source derivatives into a “prosumer”-level, closed-source product: Replicator 2/2X. This commercial 3D printer is the current envy of many schools and fab labs. Makerbot was recently sold to Stratasys, returning one of the most popular FDM/FFF printer designs to the company that held the original patents on FDM additive manufacturing. If you visit crowdfunding sites such as Kickstarter, IndieGoGo, or RocketHub, you’ll see new designs and configurations of 3D printers constantly evolving — from the SLA-based Form 1 to the latest iterations of RepRap printer variants with ever-lower costs, lower part counts, and increased size as hobbyists take the basic open-source hardware design and iterate increasingly sophisticated alternatives. Creating your own design, open-source or otherwise, and then selling kits of pre-selected components — or even pre-assembled and tuned models — is another popular way to commodify 3D printing. Future opportunities in this area are only expected to explode as the fundamental patents on several types of additive manufacturing start to expire in 2014.